Hotels, serviced apartments and pubs strive for positive reviews – and this is the same for suppliers too. When researching the market and looking at changing your software provider, customer reviews can have a real impact. We would love to hear your feedback and increase our reviews on Google, Facebook and Capterra so we thought, what better way to entice you to leave your feedback than chocolate? Our last hampers went down a treat with those selected! Do you have a favourite piece of functionality? Has a particular member of staff gone above and beyond to help you? Has Guestline helped your hotel drive revenue? We want to hear from you! To leave a review on Google click here. 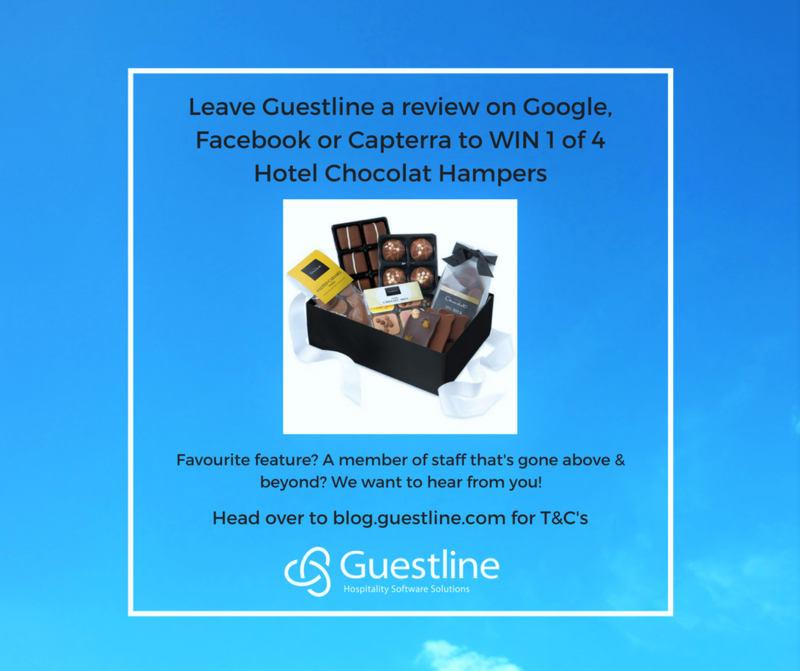 For Facebook go to Guestline’s company page and rate Guestline out of 5 using the stars – please leave a comment too! Please leave your review on as many of the platforms as possible, we look forward to reading them! The competition will run from Tuesday 4th October 2016 – Tuesday 18th October 2016. Its controversial content has gta money hack led politicans like hillary clinton to all for the banning of such games. If you would have an outline for a paper the whole writing process will become a truly easy. look here and you will know more!